In what looks like an answer, albeit fairly late, to Linaro, the non-profit organization working on open source software for ARM based SoCs, a consortium of companies composed of Imagination Technologies, Broadcom, Cavium, Lantiq, Qualcomm, Ingenic, and a few others, has funded Prpl (pronounced Purple), “an open-source, community-driven, collaborative, non-profit foundation targeting and supporting the MIPS architecture—and open to others—with a focus on enabling next-generation datacenter-to-device portable software and virtualized architectures”. Linux – Optimizations for enterprise, home and embedded Linux. 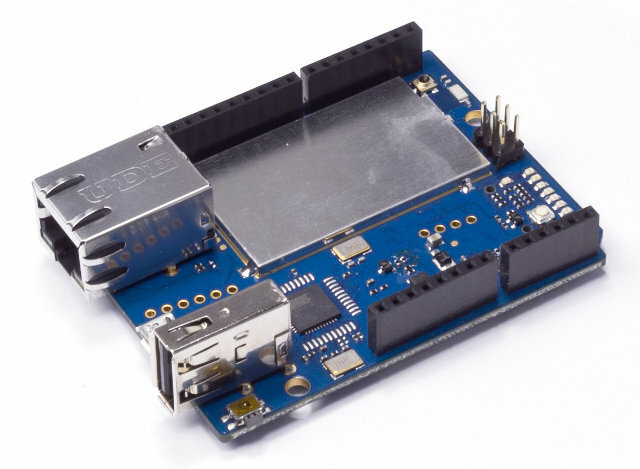 It also appears some low cost MIPS32 & MIPS64 development board and reference designs will be supported such as Newton wearable platform, Microchip chipKit WF32 board, and Arduino Yun. Companies can join Prpl as Board Members or Contributors Members, and individuals can join the foundation for free to engage with the community and access source code and tools. Since the the Prpl foundation has just been launched, there aren’t any tools or software available right now, but if you are interested in MIPS development, and possibly other architecture which may be part of Prpl later on, you can get more information and/or join the foundation on Prpl Foundation Website. Still missing a MIPS port of XBMC, plus open APIs and open source libraries for hardware accelerated video and audio decoding on MIPS. Hope that this new non-profit organization can and will change that fact. MIPS was a very popular platform for set-top boxes and digital media players before, but ever since ARM started opening up more APIs on Android which lead to more apps and mass-production leads to cheaper ARM chips, the MIPS market for set-top boxes and digital media players have almost gone away. google owns android who owns mips ?? ?